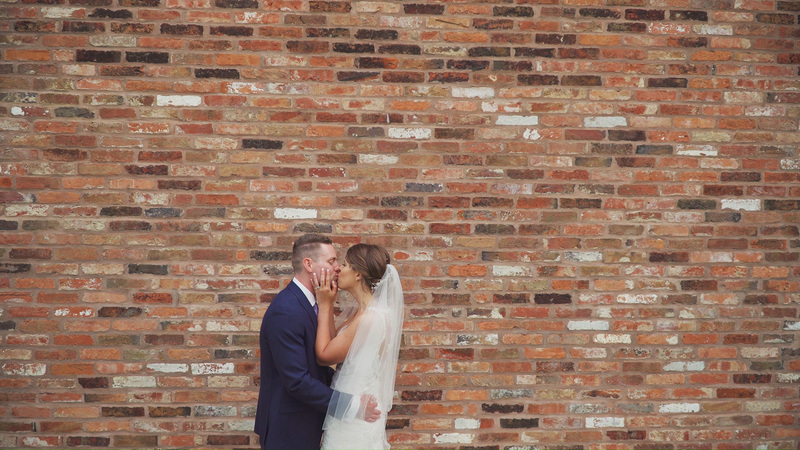 Jason Lynch Weddings are a specialist wedding videographer in Nottingham, providing wedding videos for your special day in and around the Nottingham, Derby and East Midlands area. We pride ourselves in offering a personal and professional wedding video service on your special day, capturing the magic for you to enjoy time and again. If you require a wedding videographer in Nottingham or the surrounding area to cover just the ceremony or all day filming with two cameras, we can create a package tailored to your needs. All our wedding video packages include a pre wedding consultation to discuss all the details prior to the date such as desired shots, styles and a schedule for your wedding day. "I would like to say to anyone reading this that me and my husband hugely recommend Jason Lynch Weddings. He's a well presented very professional person, we are so pleased with the service and highly recommend this company." "Would like to say a massive thank you to Jason and Glen who did an absolutely Fantastic job filming our wedding, they captured the day perfectly. Fantastic people who are amazing at what they do. Could not recommend them enough"
" Just want to say thank you for everything you did for my wife and I on our wedding day in June. Very professional and friendly and accommodating. A few weeks after the event the video edit was done and looks like a movie! Would definitely recommend, re-living the best day of your life with the video brought me back to tears again and would of regretted never having it recorded by you guys. Thanks so much 5 stars *****"
"We cannot thank Jason enough for his professionalism and the outstanding quality of the video we received from our wedding. It really is stunning. We have already recommended to numerous people. Jason arrived early to ensure everything was in place at all shooting locations including the venue, Laura getting ready, myself getting ready and the church. The drone footage was also an amazing touch. Honestly, second to none and worth every single penny. Thanks again!" "Just literally no words to describe Jason's greatness. Off the scale AMAZING. if you are considering booking him then just do it. You will not regret it!!" "When scouting for a videographer for one of our beautiful brides who is getting married just outside of London we came across Jason Lynch. Now it's very rare that I am blown away as soon as I visit any websites but Jason's website literally knocked me for six!" "And if you want the hairs on your arms to stand on end watch this beautiful film by Jason Lynch"
Please find a selection of our recent wedding videos below. We can provide all videos as high quality HD videos on a specially packaged usb as well as a DVD recording of your wedding to bring the memories of your special day to life. Our weddings videos can capture your entire wedding day from getting ready, through to the main ceremony and wedding reception. We offer 3 standard wedding video packages which we find cover the majority of our customers needs. If you feel like you require a more bespoke package with features outside of the ones listed below please feel free to contact us using the form at the bottom of the page and we will be happy to provide you with a quote for a tailor made package to meet your needs.